Your First-Stop For Business Advisory… Today, Tomorrow and Beyond! 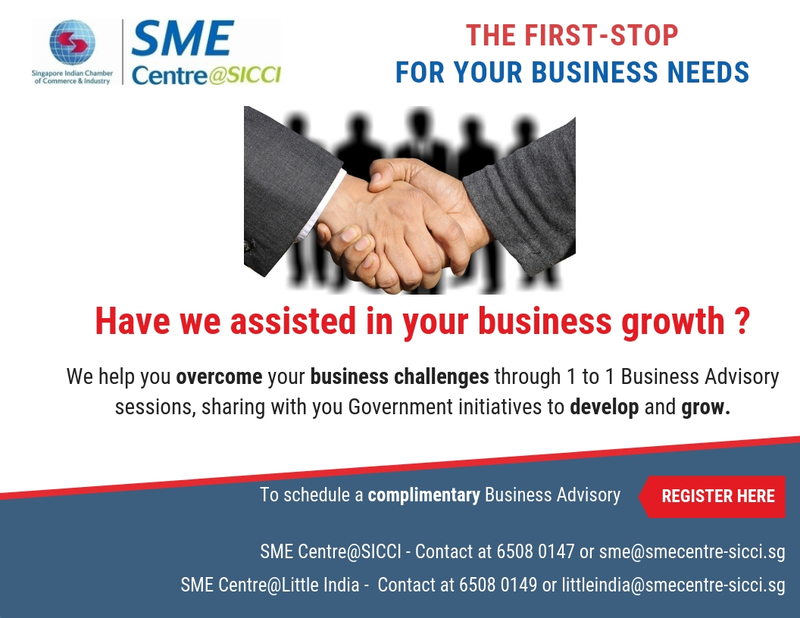 The SME Centre@Singapore Indian Chamber of Commerce & Industry (SME Centre@SICCI) serves as a first-stop for Singapore-based enterprises that are looking to grow their businesses locally and overseas. Leveraging on the strengths and reputation of the Chamber, we promote and champion the development of enterprises, offering an array of services, ranging from business advisory services to market-related seminars, relating to business, financial, legal and management services, among others. We provide guidance to start-up enterprises in areas such as business registration, small and medium enterprise (SME) financing, human resource management and business development as they start their businesses. 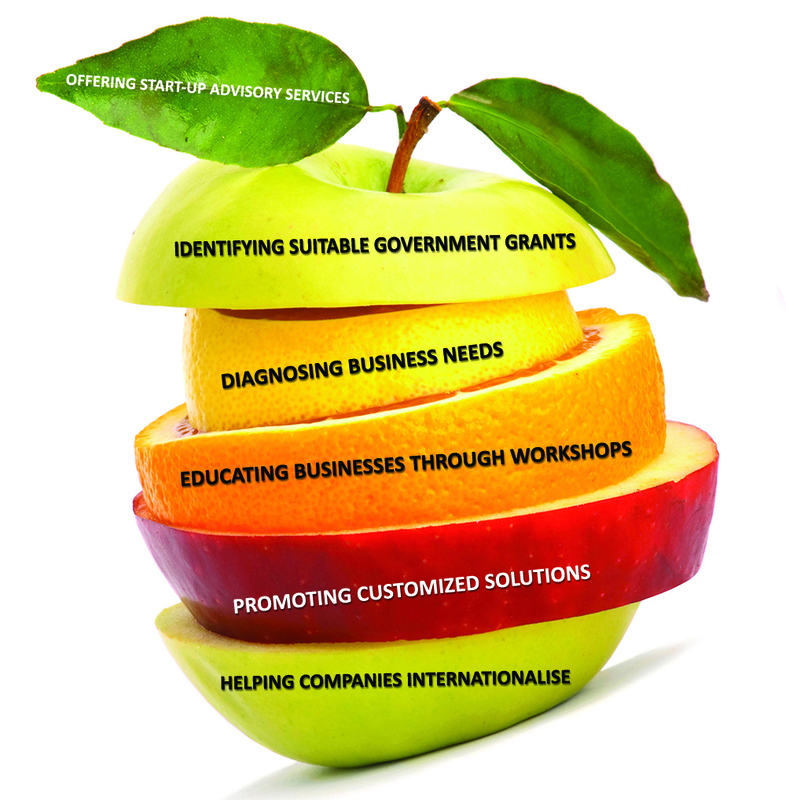 We provide business advisory services on relevant government grants and schemes for companies in areas such as financial and legal management, business excellence, technology innovation and overseas expansion. By conducting complimentary Business Diagnostic assessments on organizations, we are able to understand their current internal capabilities and challenges, allowing to identify areas for improvement and implement roadmaps for growth. The company will then be able to develop short and long term strategies to improve effectiveness. Where available, appropriate advisory on government assistance will be discussed. Through the organisation of regular workshops on important business functions such as financial management, human resources, marketing and productivity, an ideal platform is created for like-minded businessmen to learn and network with one another. By understanding the issues that companies face in certain sectors or locality, we hope to roll out solutions that will address and uplift the sector as whole. We provide guidance to enterprises in areas such as business registration, financing and capabilities enhancement for their overseas expansion. When required, we match consultants to the companies to assist them in establishing their operations abroad.